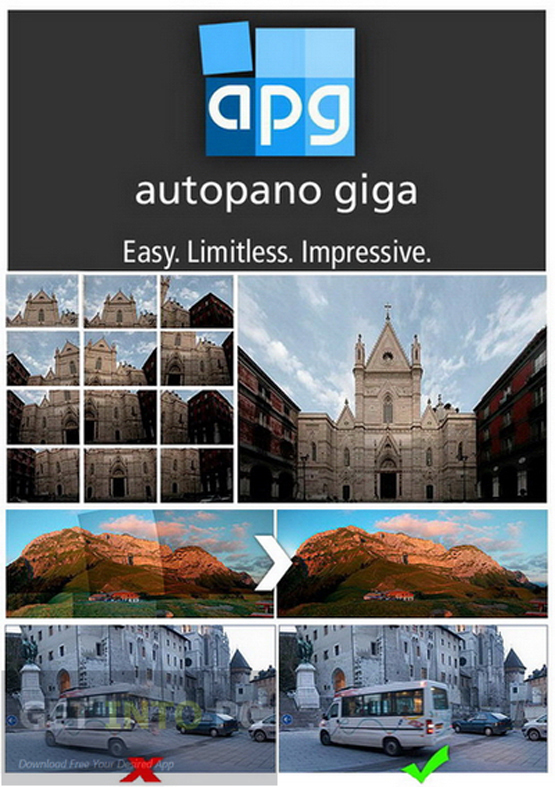 Autopano Giga 32 Bit 64 Bit Free Download Latest Version for Windows. It is full offline installer standalone setup of Autopano Giga for 32 Bit 64 Bit PC. Autopano Giga is a very handy application that can be used for stitching images in order to create compelling panoramic images. Autopano Giga is a multilingual and multi platform application which can run on Mac, Linux and Windows. It has got a very simple user interface which will let everyone to use it efficiently. 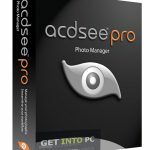 For image editing you can also use Perfect Photo Suite Premium Edition. Though the interface of Autopano Giga may seem very simple but behind it rests an advanced stitching engine and an advanced image stitching technology SIFT which has been proven as an advanced and best technology to recognize the similarities between images. The auto correction feature for moving objects will let you get a crystal clear image from any blurred shot. Color and exposure correction can be done automatically as it has got Color Correction utilities which will adjust exposure, gamma as well as color tone of your picture with ease and as a result you can get some very compelling and professional looking photos. 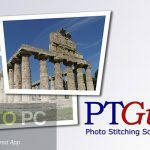 StudioLine Photo Classic Plus is another application that you can download. Another worth mentioning feature in Autopano Giga is Neutralhazer which can be used for removing any haze as well as whiteout from your panoramic images. All this can be done by analyzing the pixel’s color. The tool will also let you use one of the various projection types like Spherical, Pannini or Rectangular projections. 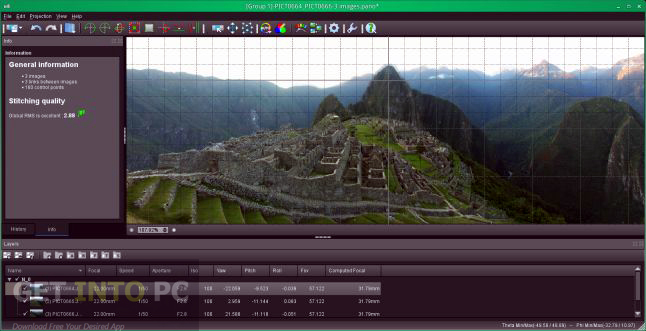 The Panorama Editor will provide you with precision at pixel level. It will allow you to adjust tiniest of the details on your images. 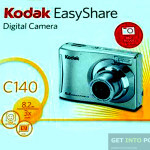 It supports multiple file formats and RAW formats from any camera. 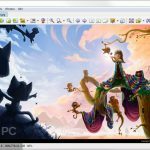 You can also download Nik Software Complete Collection. 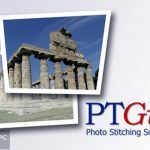 On a conclusive note we can say that Autopano Giga is a very useful tool for professional as well as amateur photographers. Below are some noticeable features which you’ll experience after Autopano Giga 32 Bit 64 Bit free download. 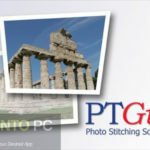 Handy application for stitching your images in order to create panoramic images. Multilingual and multi platform application. based on advanced stitching technology SIFT. Color correction feature available for adjusting exposure, gamma and color tone. Got Neutralhazer for removing haze and whiteout. Can use one of the various available projections. Before you start Autopano Giga 32 Bit 64 Bit free download, make sure your PC meets minimum system requirements. Memory (RAM): 2GB o.f RAM required. 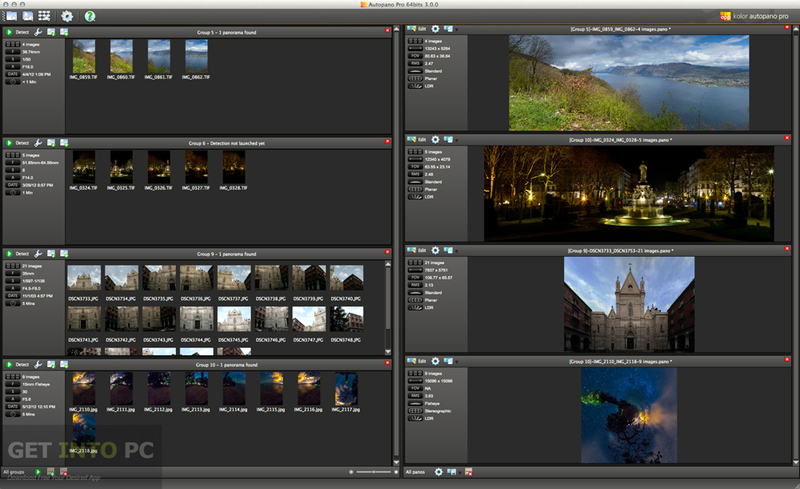 Click on below button to start Autopano Giga 32 Bit 64 Bit Free Download. This is complete offline installer and standalone setup for Autopano Giga 32 Bit 64 Bit. This would be compatible with both 32 bit and 64 bit windows.